I just received my club membership and the card today. What is supposed to be so special about this? I can tell you from experience that it really falls on Polaris local reps doing their job. This is the 3rd year in a row that this has happened. The dealer told them to pound sand. If they expect the dealer to pull all the weight. Without support it will die quickly. They are sending out cards that do not match with the address on the the letters. Open the picture and see. When you have done that. Please, please, please post a comment on this link & let Polaris know that they should include ALL riders, in the CLUB. As Polaris have chosen to exclude all European riders (and many others too). After all, we are all brothers & sisters together and ALL love these machines. Thanks, in advance, for your support. Edited 2 times, last by UK_Paul ( Nov 6th 2018 ). 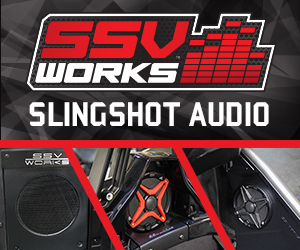 Out of curiosity, what would you want from Club Slingshot? Dogs are not evel. Humans teach them. This month marks four years since I purchased my sling. After recall notices, warranty purchase, and all other communications you would think Polaris should have your address correct in their system. Another nice thing about living in a rural area the mail carrier is your friend so I got my Club info with no delay despite a street number that doesn't exist on my road. When I called the number on the wallet card to correct the street number I was told by a very nice lady that I would have to go through my dealer to make the change since they couldn't prove who I was over the phone. I was very nice in return and told her that having gotten numerous mailings over the years with the right address it should be easy to see the mistake and make the correction. "Sorry, but I can't access that information." Ah, post production quality control. Reminds me of the old saying about industrial workers in the Soviet Union-"we pretend to work and they pretend to pay us." 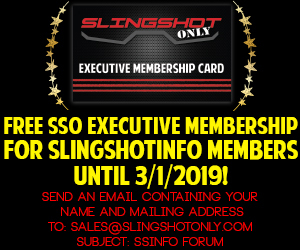 Being totally selfish here, what does having a membership card and being a member of Club SlingShot get us? It appears that it is all wrapped around getting associated with a local dealer, what if we do not have one? It looks like the only content on line is to check your membership, is there nothing more? It couldn't be some way for then to make more money off of us after the first year could it ???? Similar reaction to the one you got. Some time ago, when I was asking, if we non-US owners could join "The club." "That's above my pay grade, sir." Got mine. Really not interested. Like my info and FB groups. More support than any factory ever provided to me. yeah not quite really sure what they are providing. I looked through the book and really wasn't interested in sales pitches. I love this forum. better than any dealership.